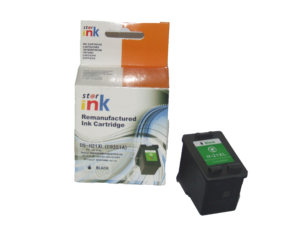 Compatible Ink Cartridges are inkjet cartridges that are made from all new parts by third party manufacturers that have no affiliation with the original equipment manufacturer. These third party manufacturer ink cartridges are generally cheaper than the original ink cartridges. A lot of research has shown that these generic ink cartridges generally perform well if you buy from a reputable dealer that can supply a warranty on their product. There is basically little if any difference in the quality of printing. They come in a full range of colours and can perform just as well as original equipment manufacturer ink cartridges. It is often said that generic inkjet cartridges are sometimes more likely to show compatibility issues. The original printer manufacturers often install chips that produce error messages when a non-original ink cartridge is used on the printer. There are easy ways to solve these problems and if you use a reputable dealer there should actually be no issues that can’t be solved. We have said it earlier that using compatible ink or toner cartridges won’t void your warranty. Compatibility issues arise when a printer do not read and validate your cartridge as being the right cartridge for your printer. It definitely does not mean that the ink cartridge will damage your printer. Why buy Your Compatible Ink Printer Cartridge from CTEC? We have already dispelled the ridiculous idea that a generic ink cartridge can damage a printer. At CTEC we stock an excellent proven brand of compatible ink cartridges at very reasonable prices. During his eighteen years in the printer industry, the owner of CTEC has only once seen a printer cartridge being the reason why a printer was damaged. You can therefore believe us when we say it is safe to use compatible ink cartridges for your printing needs. We stock generic ink cartridges for most of the most popular brand models and we guarantee the reliability and quality of our product. The cherry on the cake is actually our after sale service that is legendary.